Vice President Kristina Greenway was born and raised in Ft. Lauderdale, FL. Kristina attended Broward Junior College and then Austin Peay State University on a volleyball scholarship and was where she met her husband and business partner, John, who was on a baseball scholarship. After college Kristina moved to Knoxville, married, and then raised her two sons in the West Hills area. She spent many years volunteering and working on entrepreneurial efforts, such as opening a new greeting card line called Old Grouch™. She also attended Lincoln Memorial University where she was awarded dual master’s degrees. Kristina is passionate about education and helping others. 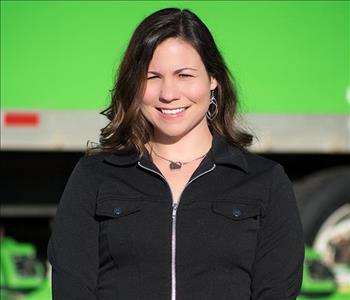 Kristina is a visionary and this gift has been especially valuable to her work at SERVPRO of Rocky Hill/Sequoyah Hills/ South Knoxville. Kristina has been dedicated to helping others in the field of crime scene and biohazard cleanup. She has achieved one of the highest certifications in blood borne pathogen and biohazard cleanup through American BioRecovery Association (ABRA) by completing her Certified BioRecovery Masters (CBRM). She holds the office of Vice President of ABRA and is proactive in educating other companies of this nonprofit Educational Association. Kristina also holds active Certifications from the Institute of Inspection, Cleaning, and Restoration Certification (IICRC) in water restoration (WRT), fire & smoke remediation (FSRT), and advanced microbial remediation (AMART). Kristina is passionate about helping people; in fact, her life's mission can be best defined with one statement: “Helping others in their time of need is one of life’s greatest privileges”™. President John Greenway grew up in Northwest Knoxville as his parents moved to find work at Oak Ridge National Laboratory. He attended Central High School. He received a Baseball scholarship to Roane State Community College in Harriman, TN where he helped lead the team to victory in the state championship as team co-captain. He then earned a Baseball scholarship to Austin Peay State University in Clarksville, TN earning Academic All American honors. It was here that he met wife Kristina who was on volleyball scholarship from Ft. Lauderdale, FL. John then transferred to the University of Tennessee to Complete his B.S. in Education. John is the proud father of two sons. He spent 18 years with Wyeth Pharmaceuticals as a sales rep and later District Manager. John has earned his WRT, ASD and CDS certifications. John’s training has allowed him to become an expert in large losses. Lisa Breuer, as Office Manager and leader of our office team she ensures performance in all accounting and administrative activities. Administer and perform all aspects of accounting and reporting. She also ensures that all job files are properly audited and contain all required documentation. Lisa aids in the development and implementation of an annual office administration plan and budget to automate and improve office productivity. Ms. Breuer manages and improves customer satisfaction including the resolution of customer complaints. Lisa has over 30 years office experience with more than 15+ of that in accounting. She also has a Bachelor’s degree in accounting. Ms. Breuer is married and has 2 children. She enjoys: walking, biking, camping, anything that involves time with family. She is a Youth leader, Sunday school teacher and a Children’s church volunteer. 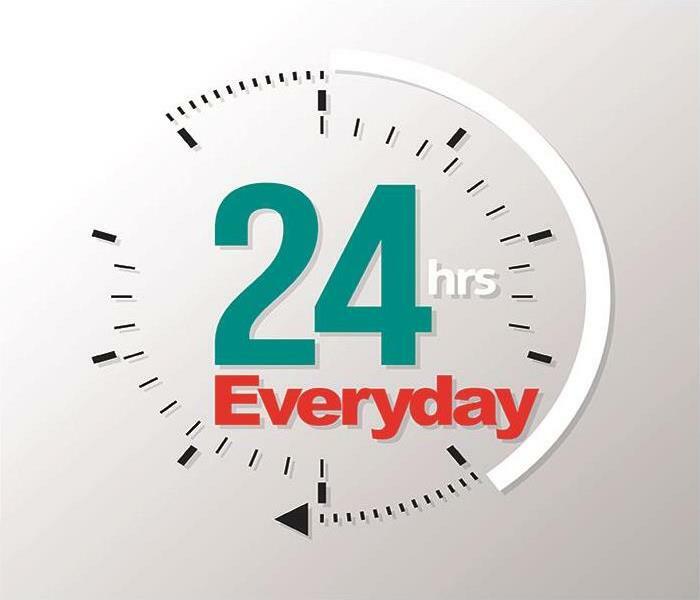 We are the Fire, Water, Mold, and Cleaning Experts - available 24 hours a day 7 days. 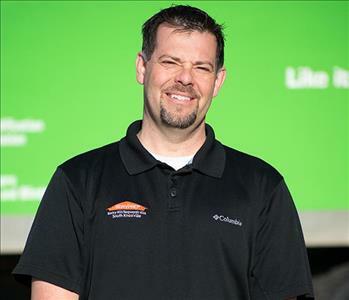 Mr. Carter is the Catastrophic Loss Specialist for our SERVPRO team. Fortunately, catastrophic losses are rare, but they do occur. Lynn Carter is the person you will want in your court if you should ever experience such a disaster. He has the experience and compassion to help you put your life back together, and make it "Like it never even happened." He is also responsible for managing the business relationships with our residential and commercial customers in the Knoxville and Rocky Hill area. He manages the sales process while working with our clients to insure the project is completed on time and to their satisfaction. Lynn’s hometown is Knoxville and he is very active with the local business community. After helping clients with their restoration jobs, he enjoys spending time with his family including two grandsons. If you experience water, fire, storm or mold damage in the Knoxville area, call Lynn at (865) 862-8907 for fast and professional service. Casin Chandler was recently promoted to Production Manager, and has many years of experience in Water Damage Restoration. Mr. Chandler also assists with Fire & Smoke Restoration. He has the following certifications from the Institute of Inspection Cleaning and Restoration Certification (IICRC): WRT, CCT & ASD. We can be at your Knoxville home 24/7 to fix any water damage issues that may bubble up. Casin was born In Olivehurst, CA. He likes hunting and fishing in his off time. The most important thing to him is his life is family. He has one daughter Robin and two grandchildren, lil' Robert and Donda. 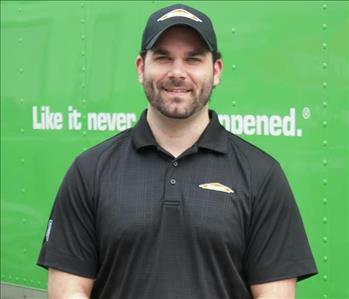 Bryan Green - recently promoted to Crew Chief. Our SERVPRO family salutes Bryan for his service in the United States Marine Corps. He grew up in East Tennessee playing sports. 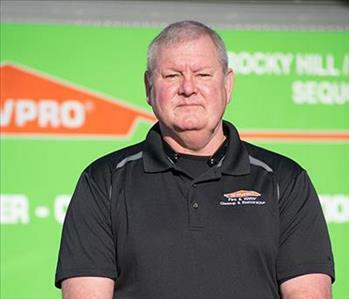 Mr. Green is a Crew Chief at SERVPRO of Rocky Hill/Sequoyah Hills/South Knoxville - Bryan's duties include the scheduling of daily jobs, coordinating production on all jobs, ensure safety precautions are observed, and submit weekly reports to summarize production activities. He covers all fire damage problems in Knoxville, Downtown Knoxville, Rocky Hill, Sequoyah Hills, South Knoxville, Bearden, Fort Sanders, Lyons View, University Of Tennessee, Holston Hills, and surrounding areas. 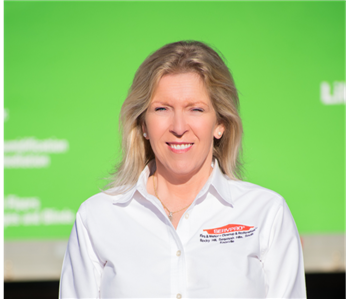 Diona Johnson is the Administrative Assistant at SERVPRO of Rocky Hill / Sequoyah Hills / South Knoxville. She has been a member of the team since October 2016. 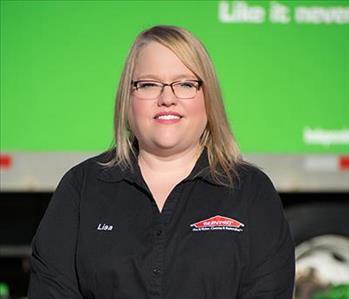 Her favorite part of the job is working with knowledgeable, respectable, and awesome people! Diona has a BA in Fine Arts and a minor in communications. In her downtime, she enjoys the outdoors, family time, movies, traveling and driving adventures. Jason Kozel, recently promoted to Sr. Crew Chief - Jason is married with two kids. He likes basketball and spending time with my family. Jason's duties include the scheduling of daily jobs, coordinating production on all jobs, ensure safety precautions are observed, and submitting weekly reports to summarize production activities. He covers fire and water damage restoration services, for Knoxville, Downtown Knoxville, Rocky Hill, Sequoyah Hills, South Knoxville, Bearden, Fort Sanders, Lyons View, University Of Tennessee, Holston Hills, and surrounding areas. 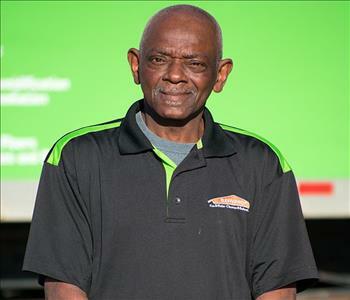 Donald McNair is a Technician at SERVPRO. Donald has been a part of our team since December 2016. He takes pride in going out and doing a job well done. Donald is from Knoxville and enjoys meeting new people. In his spare time, Donald enjoys resting and taking it easy. Jason Miller is our key account manager and as such he is responsible for securing the job, communicating and setting appropriate expectations with the residential or commercial customer, as well as insurance personnel, completing industry specific paperwork in the field using an iPad, managing field crews and subcontractors, training new field personnel, & proper time management of each job while ensuring work is completed per industry standards. He holds an ECTP Certificate and is a Graduate of Loudon County HS and the University of Tennessee. He has over 20 years of sales and industry experience. 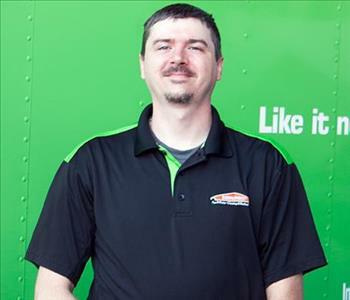 Jason resides in Farragut, TN, is married to Kendra and is blessed with three lovely children. 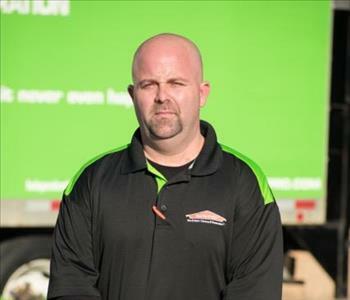 Mr. Miller started with SERVPRO of Rocky Hill in December 2014. Alex Oakes - recently promoted to Estimator/Project Manager, born in Knoxville, Tennessee and is married to an all around amazing wife. They welcomed their son to the family. 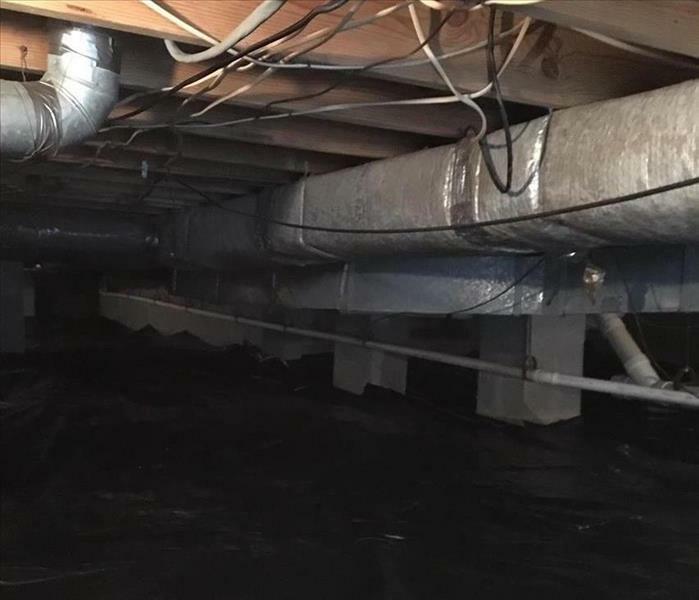 He has experience in the restoration industry and is certified by the IICRC in both Water Restoration and Structural Drying. "It gives me great joy to help people in need after a catastrophe" he said. He enjoys UT Football, movies, and spending time with friends and family. If you need advice in water removal and repair give us a call at (865) 862-8907 - 24/7 we are just a call away. 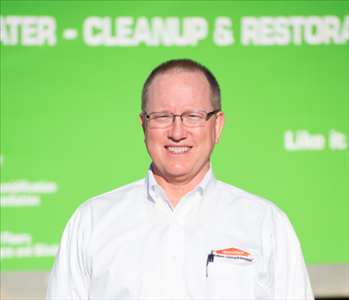 As Operations Manager Chuck Peterson is available 24/7/7 days a week and is ready to restore your damaged home or commercial structure. Whether from Mold Remediation, Water Damage, a Fire & Smoke Damage Disaster, or a Storm or Flood Mr. Peterson loves the challenge of leading leaders. We salute Major Peterson and his service to our country as an A-10 Thunderbolt II Pilot, Flight Commander and Instructor. This husband and father of 4 graduated from UT and lives in Maryville. 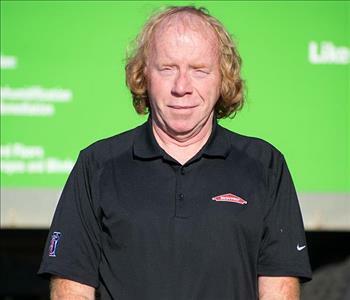 Chuck would be happy to help you if you experience Water Damage or Fire Damage in Knoxville, * 24/7 Fire Damage Restoration Service * 24/7 Flood Damage & Water Damage Service * 24/7 Sewage Damage & Sewage Removal Service * 24/7 Mold Remediation *24/7 Bio-hazard Suicide Clean. Count on Chuck. 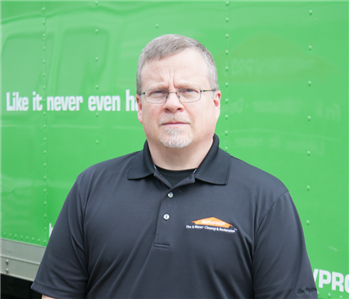 Tim Visser is a production manager for SERVPRO of Knoxville South. 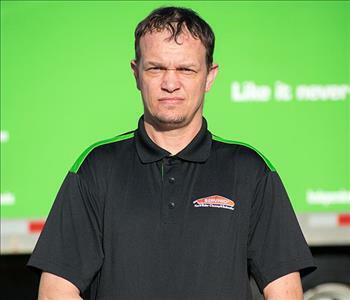 He is responsible for managing Field Supervisors and Crew Chiefs and all aspects of these jobs. Tim works at securing the job, communicating and setting appropriate expectations with the residential or commercial customer, and even manages field crews and subcontractors and trains new field personnel. He monitors for proper time management of each job while ensuring work is completed per industry standards. Tim lives in Seymour, TN. and is formerly from Canadian Lakes, Michigan. We are blessed to have a former volunteer firefighter and EMT on our team. Mr. Visser has many years of residential construction experience and also years of fire and water mitigation expertise. 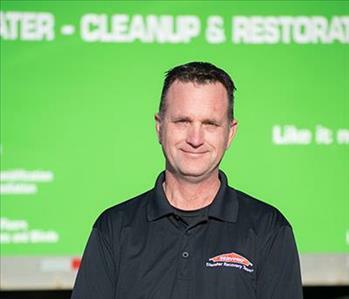 He started working with SERVPRO of Rocky Hill after having spent 6.5 years with Paul Davis Restoration. Tim is married with 3 children. So, if you are in Knoxville and need help, call (865) 862-8907 - 24/7. We are just a call away. 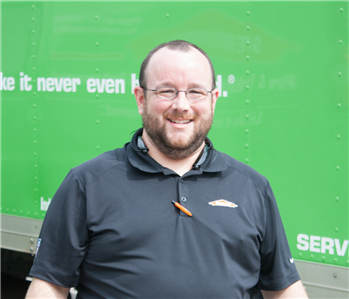 Nick Lee joined SERVPRO of Rocky Hill / Sequoyah Hills / South Knoxville in 2016 as a Crew Chief, and is now a Production Manager. 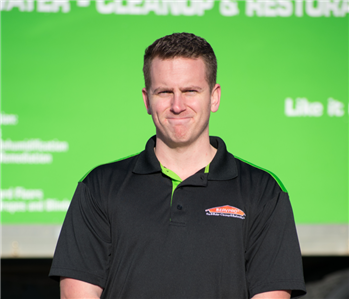 Nick has WRT (Water Damage Restoration Technician) and ASD (Applied Structural Drying Technician) certifications and likes helping customers in their time of need. In his spare time Nick enjoys building things and watching the Vols at his home in Knoxville, TN.